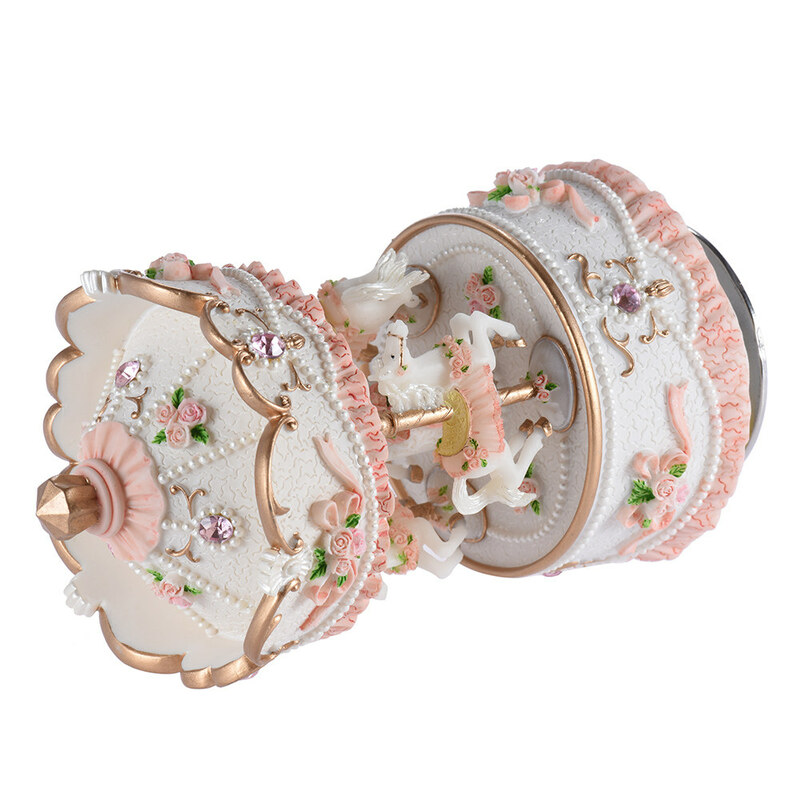 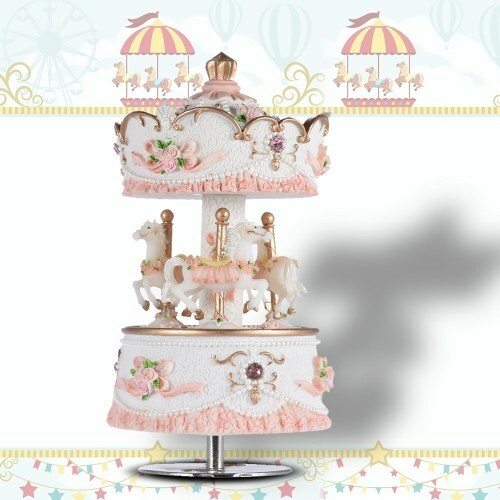 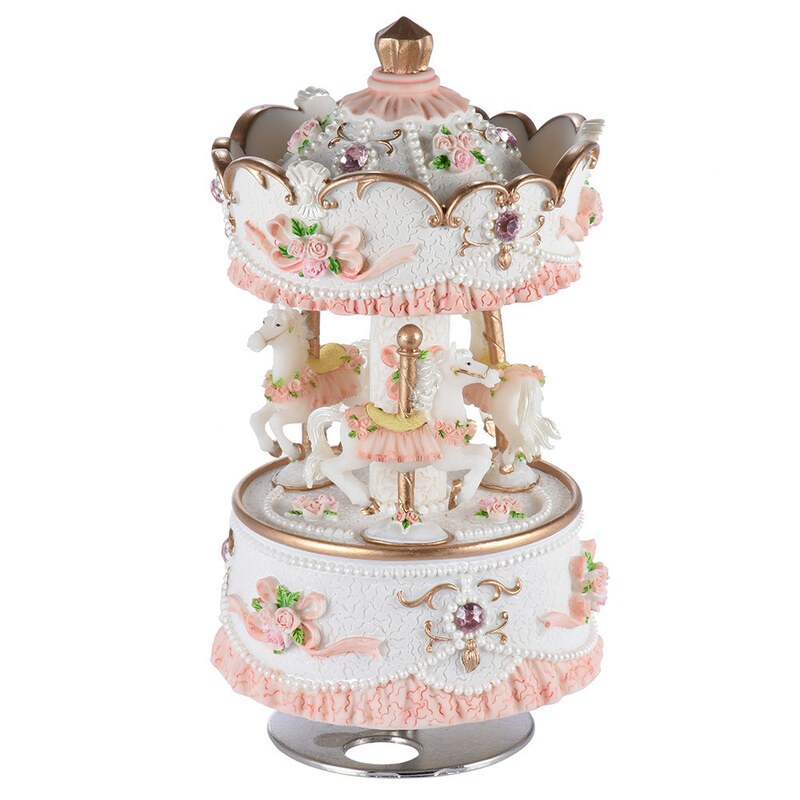 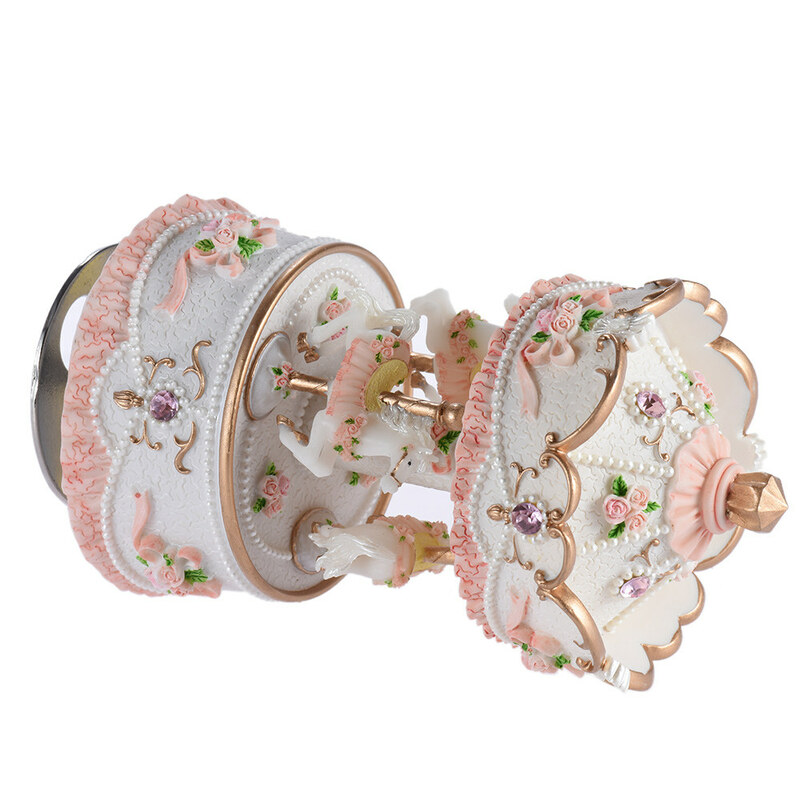 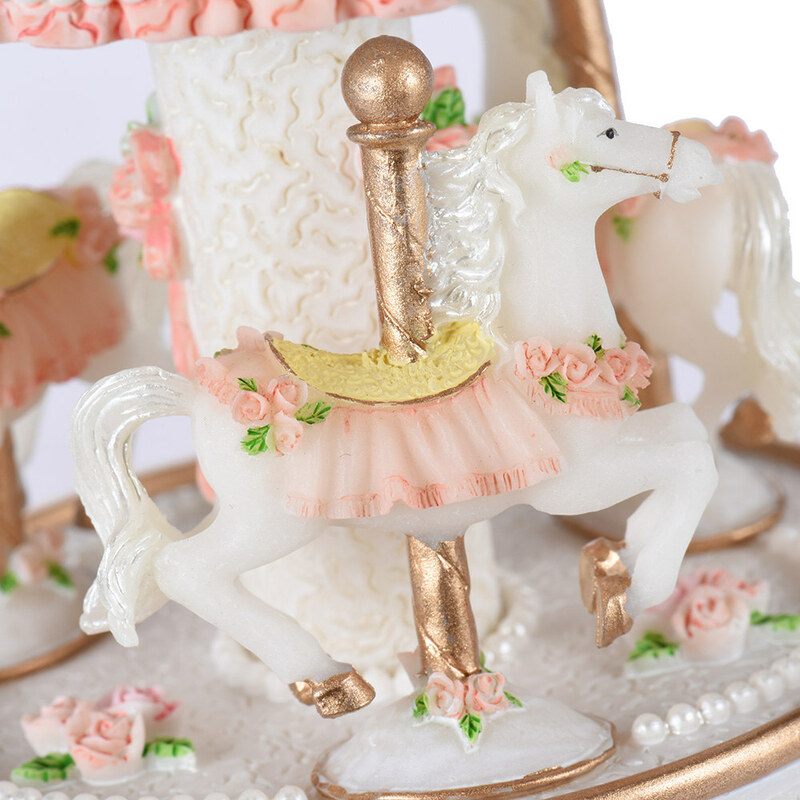 The music box is made of high quality synthetic resin with metal movement. 3 horses can rotate with music. 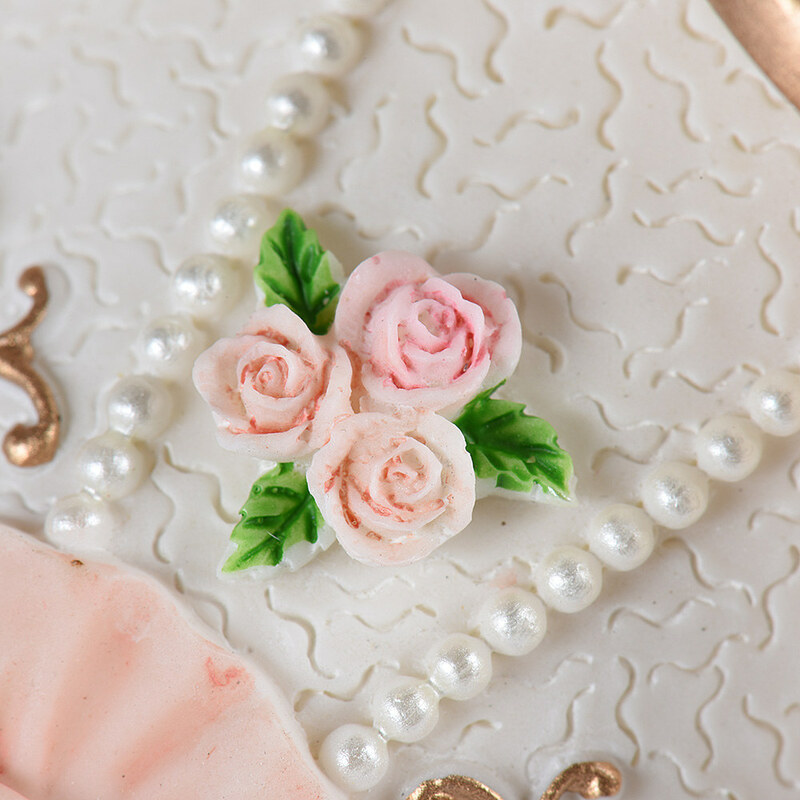 Beautiful carving around the body of the music box. 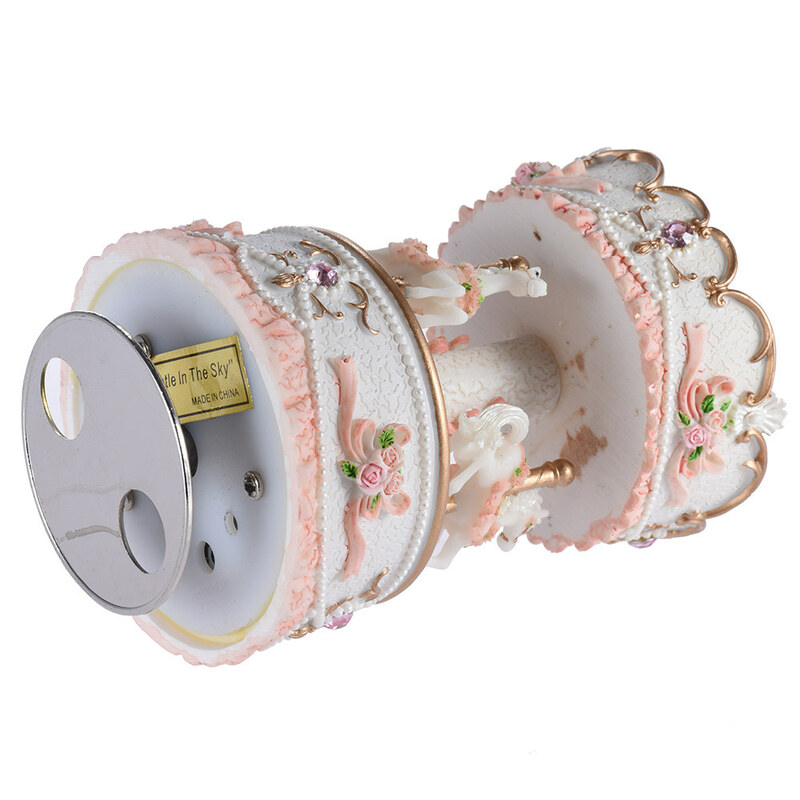 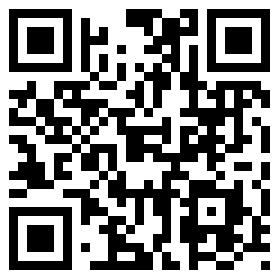 Use the bottom key to turn the Spring tightly, then release and will be playing. 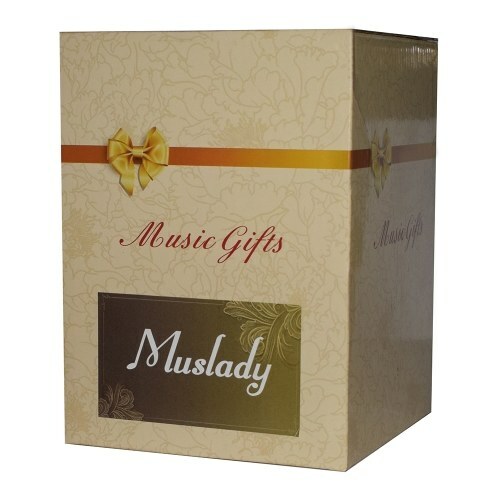 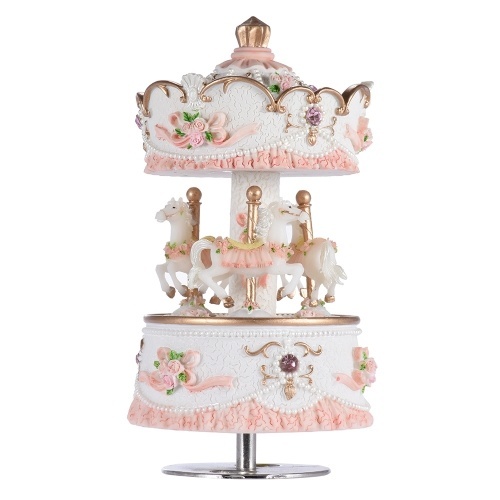 An exquisite, music box for your friends, spouse, sweetheart, relatives, or yourself as a gift.